There’s no better time to lose yourself in a field of beautiful flowers. 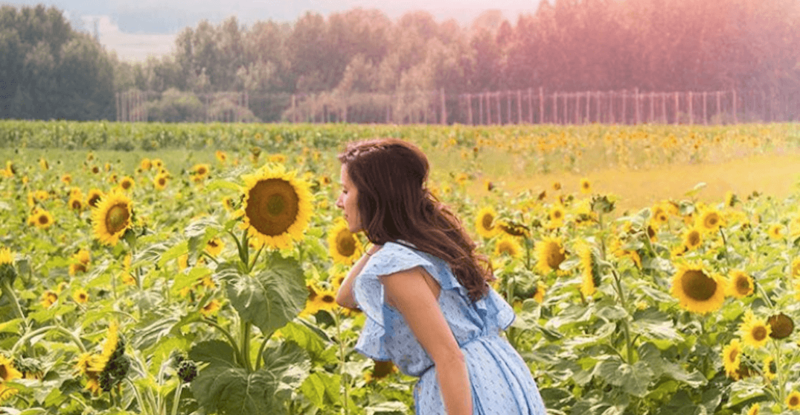 Bowden, Alberta is home to the Bowden SunMaze, Canada’s one and only sunflower maze that makes for the ideal backdrop to a sweet summer day (or that next perfect ‘gram). The sunflowers are in full bloom during the month of August, according to the maze’s website, which means that right now is the perfect time to check out the stunning sight. We’ve put together a few photos of what the maze looks like in all its glory, and if you’d like to check it out for yourself, it’s a pretty easy day trip from Calgary. Admission to the farm is only $9 for adults, and even less for students and children, and the farm and maze are open rain or shine. Bowden can be reached along Highway 2, is just before Red Deer, and takes about one hour and 20 minutes to reach by car from Calgary.